Gone to See Norway 2013 Chasing the Northern Lights. Day 9: Hurtigruten MS Nordkapp Norwegian Coastal Voyage Northbound (Båtsfjord to Kirkenes) then Southbound (Kirkenes to Berlevåg). On the seventh and final day of the northbound Hurtigruten Norwegian coastal voyage, the MS Nordkapp stops in four ports: Båtsfjord (00:30-01:00); Vardø (04:00-04:15); Vadsø (07:30-08:00); and Kirkenes (09:45-12:45). 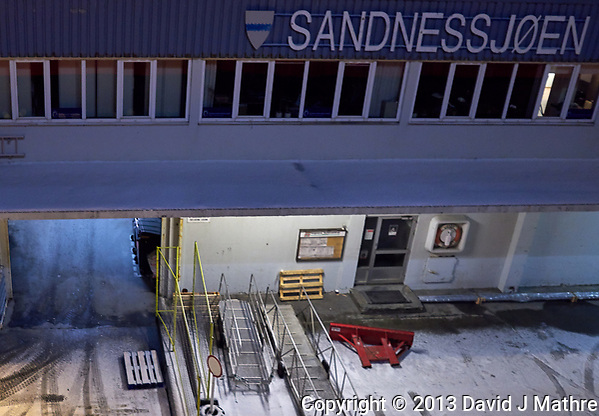 After spending 3 hours in Kirkenes, the ship turns around and begins the southbound voyage stopping at three ports: Vardø (16:00-17:00); Båtsfjord (20:00-20:30); and Berlevåg (22:15-22:30). 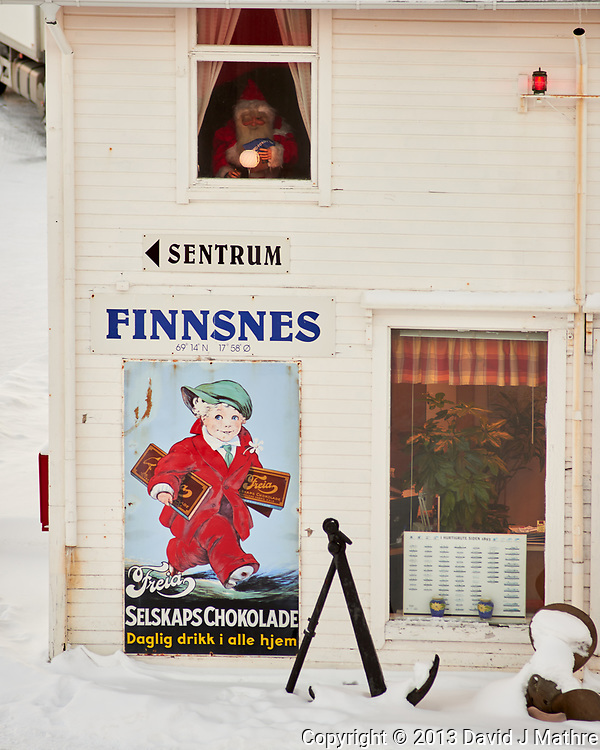 During the stop in Kirkenes, I took the bus tour which includes a stop at the Russian border. Just before midnight there were some faint northern lights. 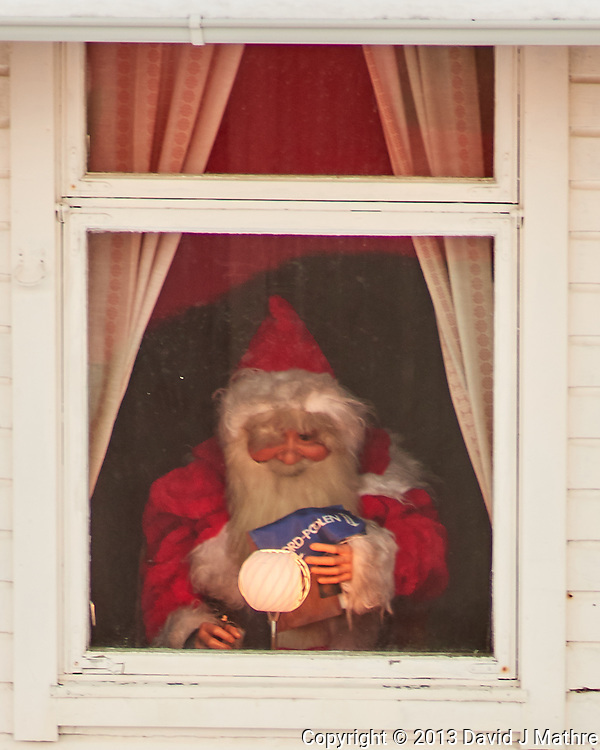 I had to increase the ISO to 6400 to get this image. You can clearly see some red in addition to the green color. Gone to See Norway 2013. Chasing the Northern Lights. Day 8: Northbound Hurtigruten Coastal Voyage. On the sixth day of the northbound Hurtigruten coastal voyage, the MS Nordkapp stopped in seven ports: Øksfjord (02:00-02:15); Hammerfest (05:15-06:45); Havøsund (09:30-09:45); Honningsvåg (11:45-15:15); Kjøllefjord (17:30-17:45); Mehamn (19:30-20:00); and Berlevåg (22:30-22:45). On the previous night, the ship went to the narrow entrance of Trollfjord and shined high-powered spot lights to show the narrow passage and high walls. In the summer the Hurtigruten ships go into Trollfjord as part of the northbound voyage. 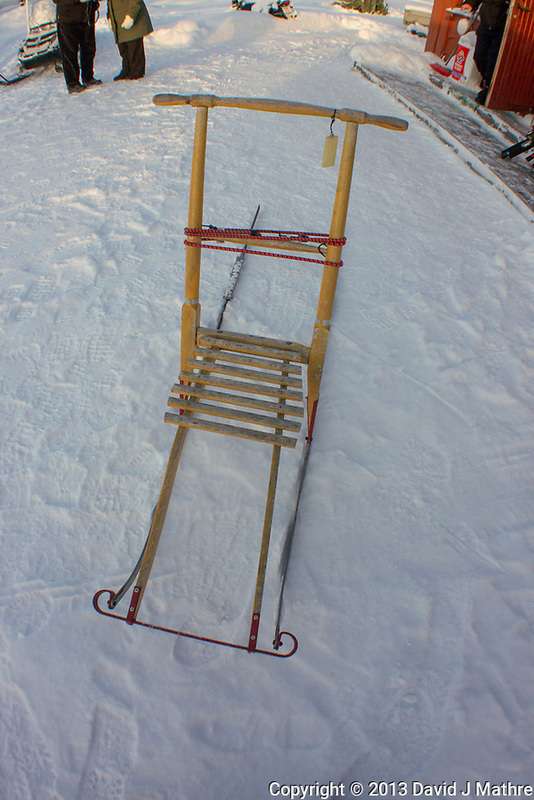 In the winter they only go to the entrance due to avalanche danger. After the ship turned the lights off, I thought that I got an image with a glimmer of green from some low northern lights. The ship staff told me that it was just a reflection on a cloud from one of the fish farms. 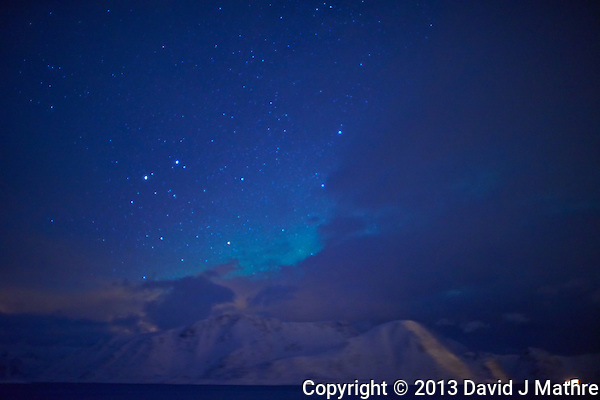 I went out again early in the morning and got an image that does show some faint northern light activity. 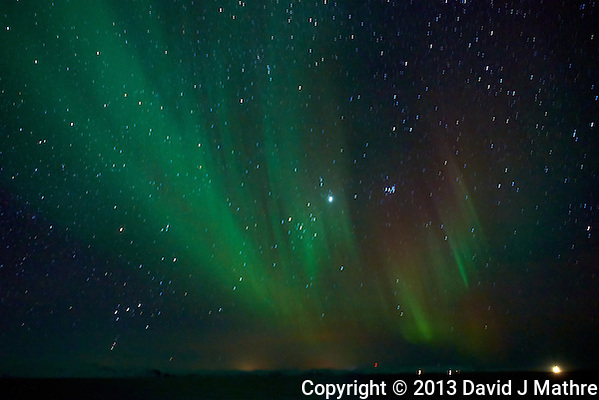 Later in the evening, I got some more images showing some northern light activity. 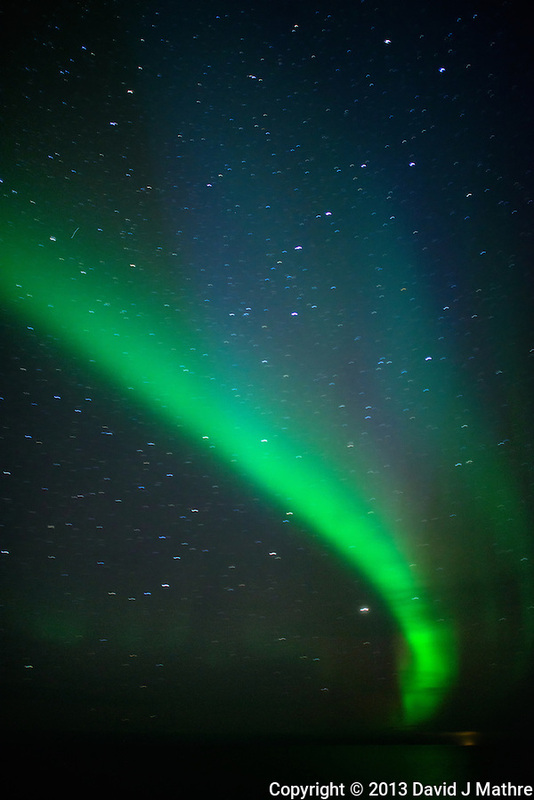 Several passengers asked why my camera was able to see the northern lights as bright green where they could barely see anything with their eyes, let alone with point and shoot cameras. 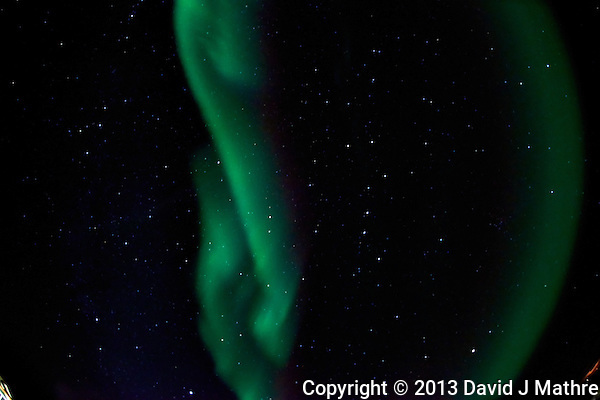 The tour director on the ship was not yet making a ship wide announcement that northern lights were visible since he didn’t want folks to go away and say “is that all there is?”. Before beginning this trip I debated not taking a DSLR. Now I am glad that I did. These images were taken at ISO 1600, f/1.4, and 4 seconds. I didn’t have the tripod out with me so I held the camera body against my chest. You can see some camera motion in the stars, but it is not as bad as I thought it would be. For white balance, I used 3500 °K as a starting point since that is what I use when photographing star trails.